A couple of quick thoughts on the monetary policy and the market reaction. RBI did a split-personality policy, imagine a rate hike and rate cut in the same policy document! This is going to take more than one post. I am trying to marshal ideas here and will come back to some of these points later. So with 0.25% higher repo rate, why are long bond yields up by almost 70 basis points? The long bond yield has two components: what is the expected “average” overnight rate for the next 10 years, and a “term premium” reflecting the additional yield to account for uncertainties – regarding the overnight rate, liquidity, and other risks. If the long bond yield rose by a lot more than the increase in the overnight rate, it clearly means that the market expectation for the future of the overnight rate has gone up and/or the term premium has increased. The expectation was that this period of extra-ordinary high interest rates (to defend the currency) would go away quickly. History suggests that these rate increases are unwound within 6 months. The expectation was that over the next few months, we would go back to the 7.25% operative rate from the 10.25% before the policy. 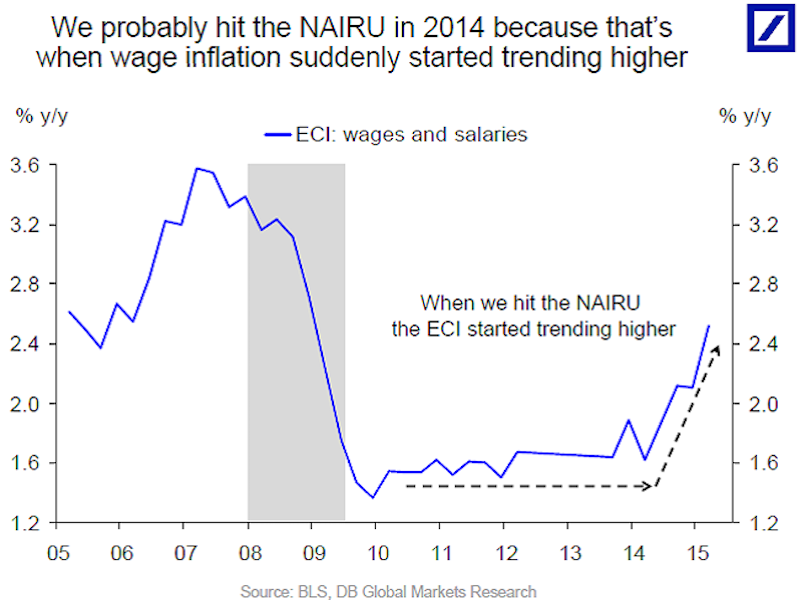 That is the only explanation as to why the 10-year rate was at 8.2%. The 10-year rate can be lower than the overnight rate only if we expect the overnight rate to fall shortly. Once we got to 7.25%, the expectation was that with growth at 10-year lows and inflation well below last year’s levels (and indeed core wholesale price inflation plumbing new 4-year lows) we should resume rate cuts. Pre-policy it was clear that the RBI was targeting wholesale price inflation below 5% in the near term and below 3% in the medium term. 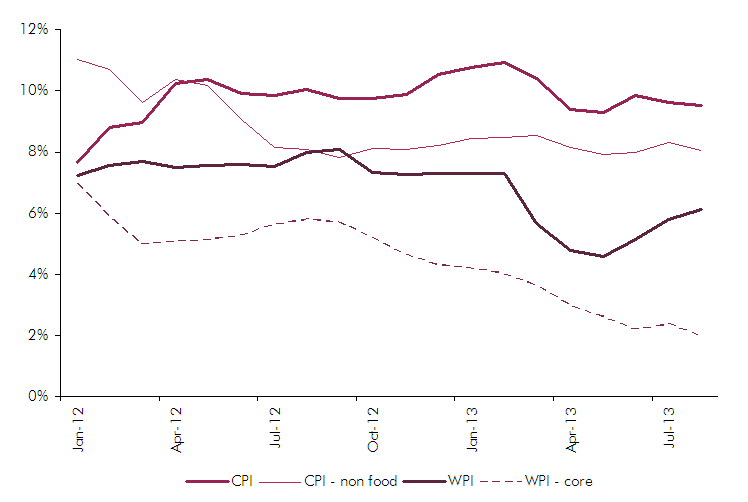 See chart below, before the rise in the last couple of months, WPI inflation was at 5%. Core inflation has been below the RBI 3% target for some months now. 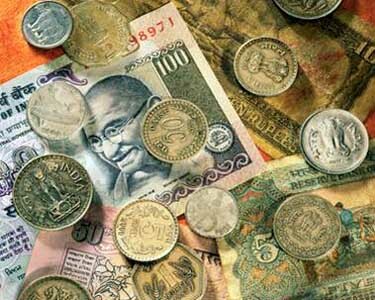 RBI has thrown both assumptions into question. Firstly even after unwinding of the currency defence, we would still end up at a higher rate than 7.25% (now 7.5%, possibly higher by December). Second the expectation that after normalization we can start reducing rates has been thrown into question. RBI seems to have shifted its policy variable away from wholesale to consumer inflation. Consequently, real interest rates are now sharply negative and to normalize rates, we need much higher overnight rates. We may be in for a period of rate hikes rather than the rate cuts we expected. Where RBI has confused the market is that there is a new committee set up to identify which variable that RBI should target and what should be the operational stance, etc. Clearly with the policy the governor appears to have in some form pre-judged the outcome of the committee (moved to consumer price inflation instead of wholesale price inflation). Even if the indicator has shifted, there is no idea about the target. As stated above, RBI had clear targets about where they wanted wholesale inflation to be. They have never indicated any target for consumer inflation. So how much consumer inflation is ok? How much is too much? And if inflation is higher than acceptable, what will the RBI do? In an earlier policy document, RBI had said that the short term rate (overnight) needs to be higher than the inflation rate. This justified keeping the repo rate at 8-8.5% while WPI inflation was in that range. Now with CPI at 9.5%, where will the repo rate need to be? Lastly, and a little more on the schizo-economics, there is recognition that the economy is slowing. 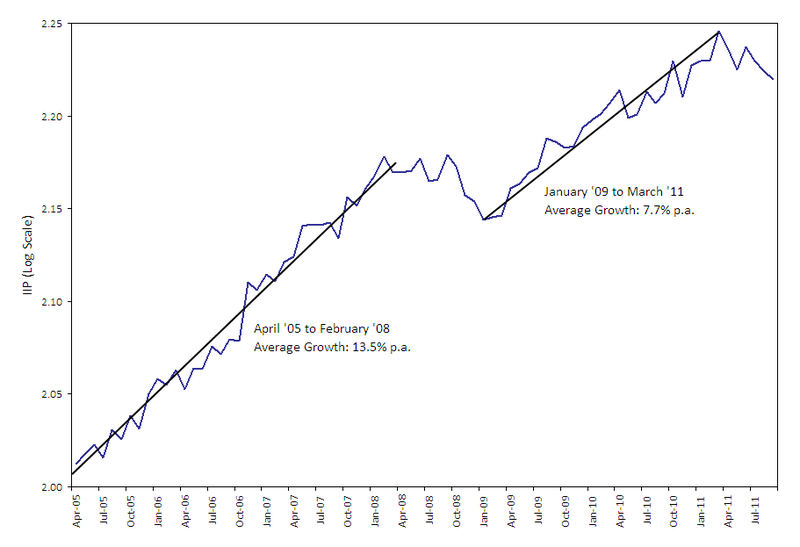 The official stance is of a negative output gap (the economy is growing slower than it could). This will be disinflationary. Why the increase in interest rate then. I believe the RBI is doing the same squaring the circle I did in an earlier post and has concluded that potential growth is much lower than is believed and the negative output gap does not exist (or is much smaller than believed).